You know your business. We know UW–Madison. Years of working with business and industry have taught us what you might be looking for from our university. Here’s how to get started, or ways to assess your current engagement for new ideas. Connect with top talent: Whether a direct hire, for internships, or to register for career fairs, UW is using Handshake as its talent platform. Get registered and explore the opportunities that exist. Raise your visibility on campus: We can help you partner on class projects, judge innovation contests, with formal sponsorships and storytelling about our business partnership. Check out the ways we’re integrating our partners into campus. Tap educational expertise: Whether training a person or a team, UW offers management t, process improvement or specific industry programs to fit your needs, all from leaders in education and research. Find the right development combination for your organization. Find a research solution to your business problem: With more than 2000 researchers on campus, consortia, and research centers, chances are, UW has the expertise needed to move your issue or challenge towards a solution. Explore some of the research resources available to business. 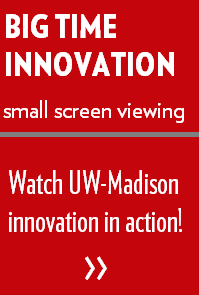 License UW technology to advance your business: With two-thousand UW available technologies across dozens of categories including instrumentation, pharmaceuticals, food products, agriculture medical devices, pluripotent stem cells, and information technology, make the right connections at the Wisconsin Alumni Research Foundation to license UW Technology. Be present on campus: Explore our monthly Event Calendar for campus events where you can make further campus connections. But sometimes you may not know how the university can help. 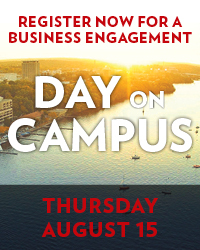 Our business engagement directors are poised to work with you to better understand your needs and business goals and to build connections and collaborations with partners on campus. 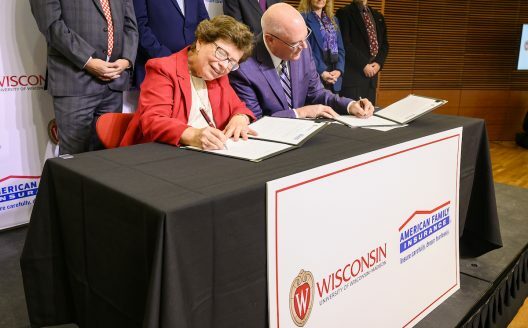 Building on UW-Madison’s current data initiatives, this expansion of the American Family Insurance partnership establishes a formal institute on campus fostering growth in data science, supporting work in artificial intelligence, genetics, drug development, material science, and business. 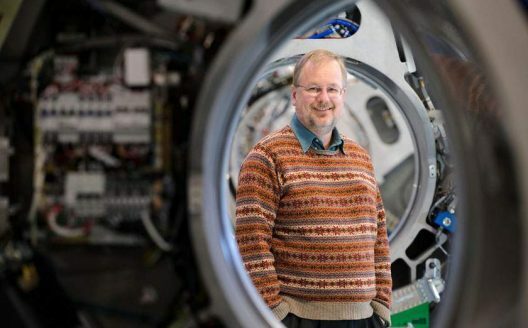 A new “Innovation Hub” at UW Health and UW School of Medicine and Public Health led by Thomas “Rock” Mackie aims to unlock potential ideas and projects and channel them to industry-leading results. 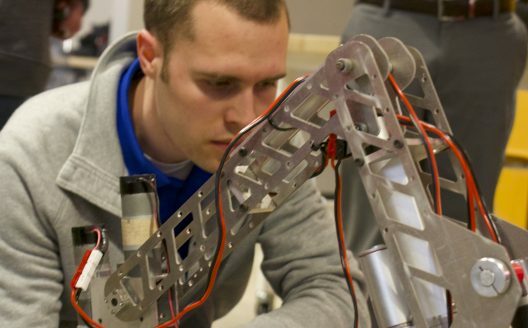 A good resume is key, but what if you could show off the prototype Mars rover you developed when meeting with a hiring manager? That’s just one of the highlights from a reverse career fair held at UW. Check out this approach.